The Book of Extraordinary Things- A three month journal to inspire a sense of wonder about your daily life. This is a Pre-Order item. Ships May 2019. 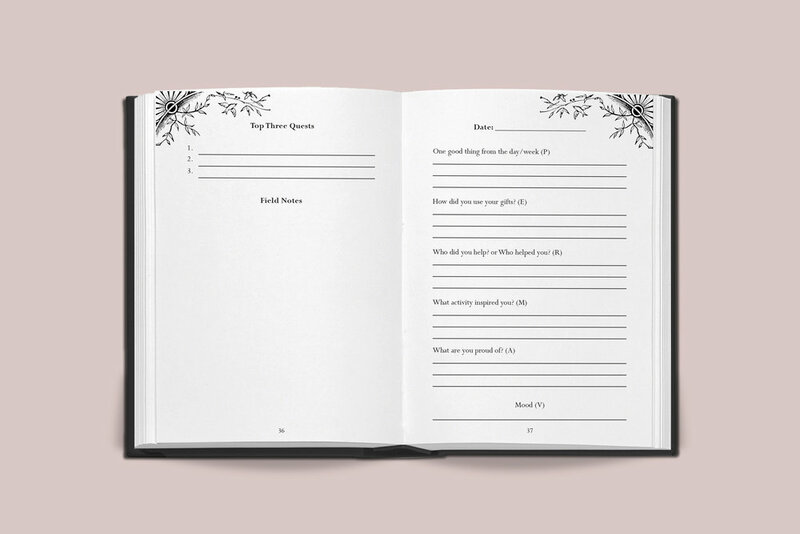 The Book of Extraordinary Things is a three month journal with prompts to inspire self-awareness, positivity, and well-being. It was designed to evoke a sense of wonder about our daily lives and to serve as a supportive companion for your thoughts. The Book also acknowledges that negative emotions and difficult obstacles are part of our human journey. The intention of this Book is to broaden and build on your ability to think more creatively and flexibly in challenging situations. The Book is based on the principles of positive psychology. Positive Psychology moves the focus to what is right with you instead of fixing what is wrong and is built on the PERMA-V model which includes (P)ositivity, (E)ngagement, (R)elationships, (M)eaning, (A)chievement, and(V)itality. Reflecting on these principles allows us to uncover and connect to the magic that we all possess. Uncovering the ability to choose how you wish to respond, react, and show up in your world will move you forward on the path towards thriving.